Yesterday’s Capricorn new moon allowed us all to open a new page of our lives. We may feel more serious, more committed, and more ready for taking our lives by the horns and making them our own! If you’re feeling fired up by the new moon energy, may we suggest looking forward to the next new moon and planning a new moon party? Angie Banicki, a tarot reader, intuitive, and Horoscope.com’s newest columnist shares how she celebrated this Capricorn new moon—and why a new moon party can be the best way to celebrate the natural rhythms of the lunar cycle. With this new year upon us—one of deeper connection and spiritual significance—now is the time to give some more attention to the power of a new moon! And what better way than through a party? And the way I’ve found to blend my old and new lives is to add an aspect of new age ceremony to any gathering with friends anf family. And by ceremony, I mean the very loose version of the term—my ceremonies tend to straddle the concept of gathering discussion and party. Trust me, it’s awesome. This last weekend’s was a gathering of some of my favorite humans—the only restriction being that they must be fun and open. And that is key. I don’t really do woo-woo. For me, fun and open are the only two requirements for magic. The group was a perfect cast of characters, including my nine month old, Charlotte, a film director, a professor, and plenty of other magical, smart, fiercely passionate people. The one thing everyone had in common? Everyone (including Charlotte!) was open and accepting to everything we threw out. 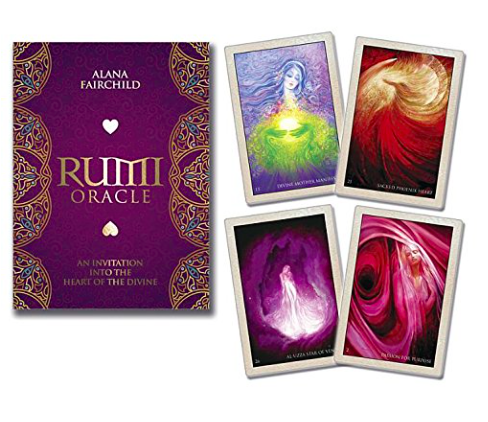 Now that everyone was in their zone—good people, good scents, a hint of magic in the air—I couldn’t resist an introductory Tarot pull from everyone from the Rumi oracle card deck. I’d actually never used this deck before the trip. And I say this because you don’t have to be a tarot reader to receive messages from the cards. And I can reiterate that after this weekend because just about everyone expressed excitement and sometimes even shock at how the Rumi card they pulled seemed to have the exact message that extended the thoughts or conversations they’d had on the drive up to Big Bear. And of course, we had some added magic as little Miss Charlotte shoved her way over to the last 3 arriving guests and took it upon herself to pull a card for each. She seemed so intent on knowing what card was meant for each. I include this little detail because it’s such a reminder that when you are living in the space of the spiritual, age, intellect and rational should be thrown out the window. Babies are your teachers! They should be honored guests! The beautiful thing about throwing people under one roof together is watching the magic of spontaneous interactions—perfect conversations are both off the cuff and right on, almost as if the gathering was meant to be. For example, my friend Mark who is applying to business school, met my other friend Shivaune, who had just graduated from one of the schools he’d been exploring that afternoon. Synchronicity at work! Oh and did I mention we all wore onesies or some version of it for a portion of the weekend? The lesson: When you do you, and you find likeminded people who do them, the result is pure magic. The most woo-woo portion would come Saturday night after a day of skiing, nature walks, and solo time. (Cue up Shine – Mondo Cozmo—this song sums up the entire experience brilliantly!) Lights were dimmed, candles lit, Palo Santo burned, and channeling music was turned on, we all took a minute to go in while all being together. I had planned to buy some fun writing paper for our new moon intentions but couldn’t find it before I left. In the true spirit of the weekend, my friend Jen had been gifted a 21 day meditation book with little sayings that she thought could be shared for the group. Everyone told her a number between 1 and 21 and we were given our message and place to share our intentions. 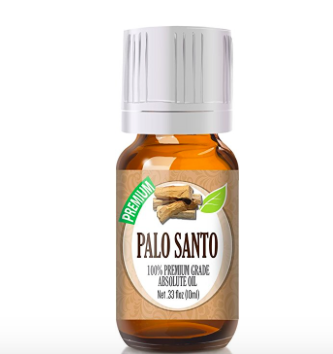 To complete the process, envelopes were closed with a smear of Palo Santo essential oil—this scent is best for connecting to our higher self. Then a card was pulled, so the person had a final message from the cards to go along with how to implement intentions. On the actual new moon, we put our letters of intention under our pillows at home and let the new moon do it’s magic in our dreams. Connecting the energy of our intentions and grace to help the action needed for us to grow and thrive in this crazy world we live in. Try your own mashup next time. All you need are good people, good tunes, and a commitment to experiencing all of life. Here, some props to help you make your own magic, on the new moon or any time you want! Feel the vibes we felt by listening to my entire Spotify playlist for the weekend! 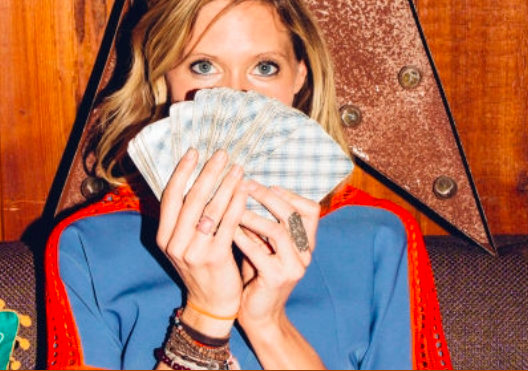 Angie Banicki high-profile entertainment publicist turned tarot card reader to the stars. What started as a hobby is now a full time job and lifestyle that is all about living with awareness and intention.